These are the words that author and historian William Dalrymple remembers clearly from a past installment of the Jaipur Literature Festival which takes place in the Pink City every January. As co-director of the largest free literature festival in the world, he recalls how a ragged man was almost denied admission by a security guard until Dalrymple himself welcomed the inquisitive guest. In a country where it is easier to find funding for glitzy fashion shows and polo tournaments, festival directors Dalrymple and Namita Gokhale are determined to continue providing a free festival that welcomes a real cross-section of Indian society, from rickshaw drivers to Bollywood stars. The one problem they don’t face is getting international writers that include Nobel Laureates and Man Booker prize winners to come to the desert state of Rajasthan in January, stay in a palace-hotel, and be worshipped like gods by the young attendees. Out of the 40-60 literature festivals of South Asia—many of which have been an offshoot of JLF since its inception in 2006—it is in the jewel-box city of Jaipur that the most successful literature festival of the East takes place, welcoming hundreds of thousands of visitors. Alongside inviting famous names to JLF, writer, publisher and festival co-director Gokhale taps into the roots of India to bring lesser known and equally brilliant Indian writers of languages other than English to the forefront of the minds of middle class Indians who are unfamiliar with their own homegrown talent. “Overall, it is an amazingly vibrant, young event filled with young people — a very glamorous week,” says Dalrymple. Even within the digital age, Dalrymple predicts a bigger and better festival with each succeeding year. He attributes this to the takehold of technology on every facet of our lives leaving something to be desired for the tangible. The distancing of our lives into Facebook and technology rather than talking to people around us has led people to have a craving to actually see real authors and interact with people. Literary festivals have become larger than ever. The writers aren’t the only ones taking center stage but JLF plays host to many popular musical acts on the lawns of Diggi Palace turning the entire event into an Indian Woodstock for five days. 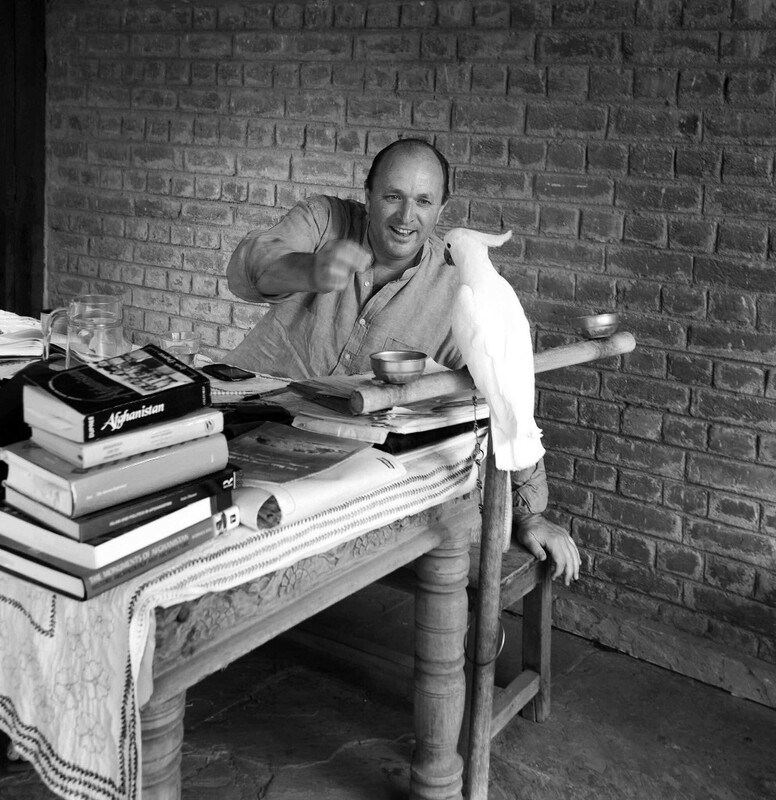 We telephoned Dalrymple, the literary rajah himself, at his home in Delhi, to find out his top tips for festival-goers. Take note of these as you book your flight to the Pink City this winter. 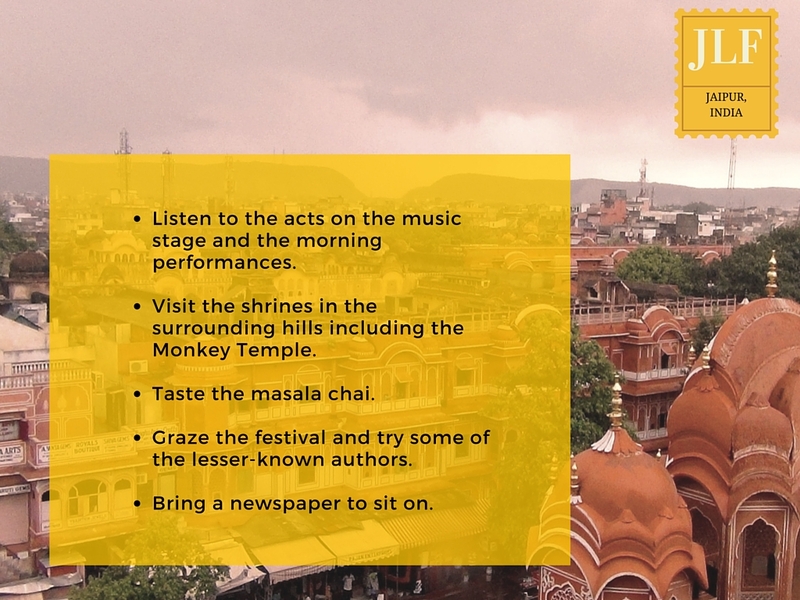 The Jaipur Literature Festival celebrates its tenth anniversary in 2017 and takes place at Diggi Palace in Jaipur, India, from January 19th to 23rd. // Top cover photo courtesy William Dalrymple, bottom, Jaipur Digital.